I've played like 10 or so team EDH games and my team only won one. Of the one I won it was because my ally got off an infinite turn combo, yay. I feel like I'm holding back my team mates because I tend to play aggro or big creatures. From what I've seen in non-EDH team play, control is much more powerful, particularly hard counterspells. For example one of my team mates had ageless entity and loxodon warhammer a combo that involves attacking. All I had to do was counter every spell that would stop my team mate's combo, and we won. I could tell you similar examples, but the point is made. In EDH, the problem is exemplified since each team has another 20 life. To boot, each player has a free chump blocker, his or her general. Yes there is the option of general damage but one stinking eternal witness or solemn simulacrum can really mess up ground creatures. Almost every deck has the later and every green deck I've seen has the former. To make matters even worse the owners of the above cards almost always want the creature in the graveyard, making attacking with ground creatures counter-productive. Yay, I can attack with my 25/25 ground creature and make you draw a card from solemn simulacrum. The above makes it real easy for the control team to just take hits, and play suppressive spells only when needed. With creatures like eternal witness who needs other creatures? Let alone that eternal witness can bring back a key card like counterspell or wrath of god. Finally, combos are much easier with teams. A player can clone another player's eternal witness or cast body double targeting an eternal witness in the graveyard making combos so much easier. I don't have a palinchron for infinite mana, darn I'll be forced to clone my ally's palinchron to win. I mean seriously does cloning a beatdown creatue like akroma, angel of wrath work? Nope, legendary rule both go the graveyard, yet palinchron can be cloned. I could go on and on, but in short combo players don't need to attack with creatures to win, any player who plays with creatures designed for attacking is a mark. Two or three Counterspell can ruin the enemy team, and beatdown creatures can be ignored because of 60 starting life and chump blockers. Playing control versus control is no fun, losing against control isn't fun, I hate combo. Seriously what's left, how can I have fun in such a format inherently designed to drain the fun and love of magic out of you? Well, it's possible that you can't, and this isn't the format you should spend time playing. There are plenty of formats that are about attacking with creatures. It's a lot easier to change formats than to change a format. I appreciate your point of view - seriously, it makes me seethe to watch a control player lockdown the board and spend 20 minutes to play this tap this search my library put this into play recur this from my graveyard take 3 extra turns looking for their win condition. But I'm not sure what this post is for. If you want to play big creatures, play some of the ones with nasty conditions, abilties and effects. Godsire, Realm Razer, Terra Stomper, Terastodon, Hellkite Charger. Overwhelm a control player or destroy their combo pieces. Hit them hard in the mana base. Goblin Ruinblaster, Convincing Mirage, that one enchantment that puts flood counters on stuff that I can't remember the name of yay. You can have the playstyle you want, just consider the way your deck plays out. Aggro is not powerless against control in EDH by a long shot. Control and Combo are not going to go away in EDH and playing big broken spells (that some may consider "douchey") is part of the fun for some. Not having an answer isn't always fun and I know this as well as anyone. But you shuffle up again, play smart and get ready to wreck the board. I have to agree with the above poster, I have four EDH I play. I play a mono-r that couldn't get any closer to aggro if it tried, that I've consistently won multiplayer games with(thank you Heartless Hidetsugu + Gratuitous Violence). I play Rith, the Awakener as an aggro/midrange deck, but with Tooth and Nail shenanigans. I play some combos in my decks, but that doesn't mean I'm playing a combo deck itself. Adjust your playstyle, rework your deck, pack some surprise interactions. Playing against a lot of Control? Start running Spellbreaker Behemoth and Vexing Shusher. Play smarter. Bait a counterspell if you expect one with a "decoy" spell, then land the real threat. I used to love Bant before Derevi became the herpes of EDH. My suggestion, have on teammamber play MUC and the other play MWC or MBC. Use Rayne as a general to slow down and lessen any removal that comes Raynes way and Mangara or Kiku to choice spot removal. Whenever we play General games, almost unanimously my teammates want to use my decks instead of theirs, W and U cover black setting up for its explosion, or they cover U seting for for its control lock. But they dont need to go infinate to win, often times we just aggro out other control players and combo players with good applications of Bane of the Living + Volraths Stronghold/Phyrexian Reclamation which stops swarms and token shenanagins. MWC likes to just do funny things with Hand of Justice, Dawnglare Invoker and a swarm of big fatties like Lost Order, Beast of Burdon, Baneslayer, ect...and MUC loves its control magic effects, all of them. 10 counter spells is more then enough when your drawing more cards then all your opponents and teammates combined. You dont need go combo to win, but you do need some control, after that, lots of little effects can win a ga,e. Kiku is a great general for little winning affets. Couse no creatures = no win without alternatives. Mangara can exile ANY non-shroud permanent, which can take out key mana sources and defences. And Rayne...is just Rayne, 3 blue mana for 1+++++ cards. Rayne, Academy Chancellor seems good if you make a deck around. I bet your opponent's wouldn't bother to target you or your permanents much. Though Rayne, won't help against spells that target your spells like counterspell, mystic snake, and fork. Also Rayne won't help against the 20 or so board sweepers I tend to play against in any given multi-player edh game. Would be interesting to see a decklist. I wonder what's in blue that would give Rayne indestructible. As for big creatures like terra stomper and Terastodonthe problem is one way or another your opponent kills the creature and then reanimate. I find animate dead effects much more common then say control magic. I mean look at the spell animate dead has a converted mana cost of 2 versus control magic's 4. What I'm really looking a way to have fun and still be at least a little competitive in the format. Lately its been too much of a one way street. By the third or fourth turn usually you can tell who is going to win. Five mana + creatures are usually nigh useless for the losing team, although five mana + creatures can help the winning team finish off the losing team. Gee, I really need to cast this chump blocker for 5 mana, darn my opponent had a counter or removal spell, I guess we lost. I'm thinking of a blue deck that draws lots of cards and counters near everything, with little win conditions. Next, I'm thinking of a deck that makes all my opponent's cards cost more, like Grand Arbiter Augustin IV with spells like force spike sphere of resistance Rhystic study. Finally I'm thinking of a good stuff deck that focuses on the early game. Just put in the best 100 cards in magic that are legal in EDH and see how the deck does. I wonder what's in blue that would give Rayne indestructible. Part of the "problem" could be that EDH tends to be a big, "stupid card" format. some metas tend to rotate around things like Sneak Attack, Tooth and Nail, etc. It's not that the meta is bad, it's just that you have to approach it differently. Like others have said, aggro can win very easily. Control players have a limited amount of cards and mana early game, and if you want to play true aggro, you NEED to be able to overwhelm early and steal tempo. I play a GUB and a GBW deck, both of which have lots of ways to disrupt recursion and the like. Withered Wretch is a champ, and Volrath's Stronghold tends to get people to just hold on to those cards. You can play instant speed reanimation to counter that as well. I am not above exiling my own creatures to save myself. I've also taken to playing Living Wish with a lot of the creatures I don't want to see bribed on my board. What it really comes down to is having disruption, and being able to generate threats. Not every card has to be a threat. Acidic Slime is great. Woodfall Primus is stupid good. A control deck probably can't consistently get enough counterspells to stop everything. And if they are playing three or more colors, force them to play some counters, and drop a Sundering Titan on their face. It's brutal, and unless they exile him, he can do so much more damage. Team games can be a little frustrating when one team has synergy between decks, and the other doesn't. Sometimes evening teams can be helpful. Play the Aura king (aka Mistalker). Then play him with a partner playing counterspells. You then have an unstopable aggro/control team. I've not experienced this problem when using decks built for heads-up or 2HG games, but it will definitely happen if you bring your multiplayer deck/knife to a gunfight. Gerrard once said "Fighting without armies is called a duel, and you will lose a duel if your enemy comes expecting a war." The fact is a control deck actually can play enough counterspells to stop everything relevant if you decide the format is about big splashy cards that cpst 8 mana. Your threat density is just too low if your idea of a beatdown creature is Woodfall Primus and Akroma, Angel of Wrath. You're going to get into a situation where the control deck is actually playing fewer lands than the "aggro" deck and will end up ahead even if they don't draw extra cards. The other problem you may be having (can't tell from your post exactly) is just that your partner's deck didn't complement your strategy very well. If you're trying to be aggressive and he has a more midrange or control deck, the team with two control decks or combo and control will beat you virtually every time because of the extra starting life total. If you don't have good help from your ally, 60 life is likely insurmountable. It's as if there are two different games going on, one early and one late. In the first, it's two of them against you, and you're already effectively beaten when your ally starts to play the late game, again with two opponents. However, if your ally is also aggressive you should generally be better off with two players against 60 life than you were with one player against 40. There will be more sweepers, so you need some disruption since with two enemies you can't just count on them not having it, but there is excellent cheap disruption available. Depending on your colors and budget, Winter Orb/Strip Mine/Wasteland/Smokestack/Tangle Wire, Armageddon/Ravages of War/Mana Tithe/Lapse of Certainty/Hokori Dust Drinker, Ice Storm/Thermokarst/Winter's Grasp, Stone Rain/Molten Rain/Pillage/Avalanche Riders/Thoughts of Ruin, Sinkhole/Icequake/Nether Void/Duress/Thoughtseize/Hypnotic Specter/Hymn to Tourach and of course Mana Leak/Memory Lapse/Delay/Evasive Action/Remand all buy a remarkable amount of time. Even if you don't like the land destruction (Armageddon is the best thing an aggro deck can do though) pinpoint discard or counterspells played for tempo are often enough if all you have to beat is Wrath of God. I've had excellent success locally with an Isamaru, Hound of Konda deck that makes no effort to win with general damage - it's just a fairly straightforward White Weenie All-Stars that can start its mana curve at two because the general is always available for a 1-drop. It couldn't win a free for all game in a million years, but paired with another early game aggressive deck it can power through enough damage to be a contender. Or paired with a permission deck it has some chance of dealling the full 60 if its partner can counter the first couple sweepers. Paired with a midrange combo deck, though, it would be hopeless because the first Wrath for me plus random counterspell for his first combo piece leaves me playing Stormfront Pegasus against Akroma, which is so close to irrelevant that my ally may as well be playing 2 on 1. And the damage I've dealt is unlikely to help him close out the game with his combo deck. Another thing you can do, if your general is blue, is play a few Control Magic effects (Binding Grasp, Vapor Snare and Gilded Drake all require only one blue mana) instead of spot removal if the availability of the general as a chump blocker is really a problem. I don't think that's true. 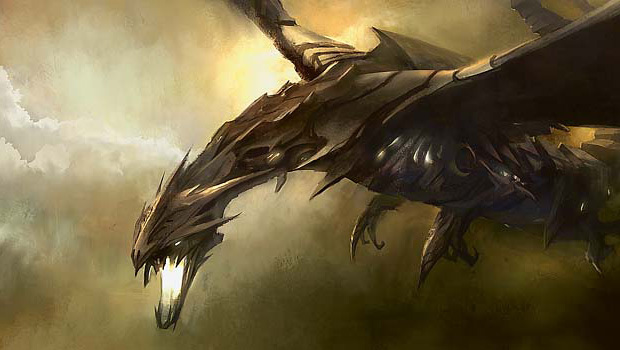 Legacy has nearly the same card pool, and is far from a control-friendly format. 40 starting life is a big hurdle for an aggro deck, but the aggro card pool is also very strong and a control deck does need to actively prove that it can survive the onslaught. The combo-oriented nature of competitive EDH I think has much more to do with the use of the general as a combo piece than the cardpool (combo is not really playable in other highlander formats such as 150 that use the same card pool).